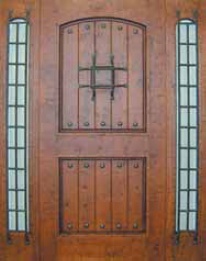 Our wide product range includes high quality entry wood doors in custom and standard sizes for renovations, new homes and commercial projects. Great variety and best quality of wood used in the manufacturing process provides our customers with multiple choices. 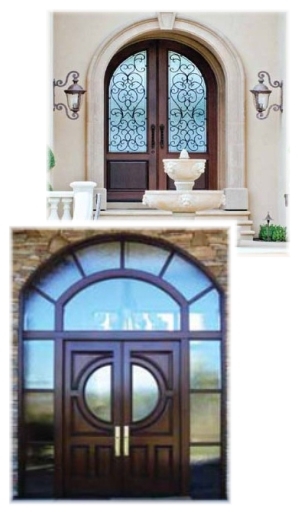 Our designers’ team possesses a passion for excellence and will make sure you choose the right door that makes a sound investment and protects your home. 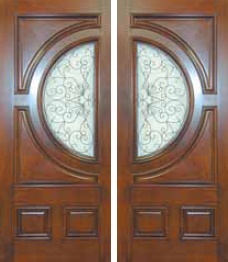 All of our doors are constructed of the finest hardwoods. We use Honduras Mahogany, Walnut, Oak, Maple, Alder and Cherry just to mention a few. Solid construction, Mortise and Tenon joinery, hand cut miters, true floating panels and raised molding both sides are all standards. 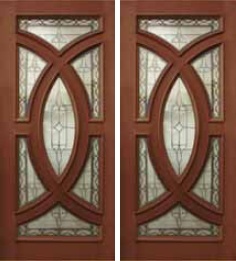 We use tried and true construction methods to build our products as we take great pride in every door that we produce.